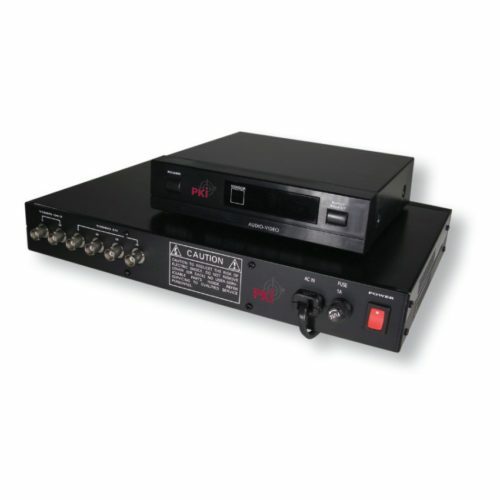 The PKI 5935 enables the transmission of digitized audio and video signals via a 2-wire copper line. The signal can be transmitted over a distance of up to 4 km by means of the intermediate amplifier. And a digital network connection is possible, too. This means arbitrarily long transmission distances via the internet. Application and use of PKI 5935 are indispensable for many observations, the more so as the device is not stationary.